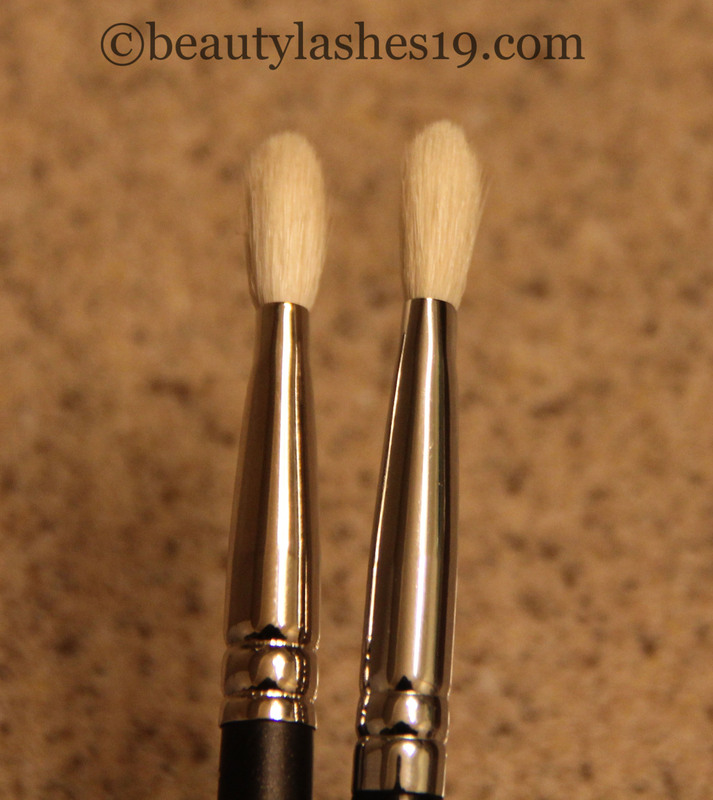 Dupe for MAC 217 brush.. Happy Friday! We’ve all heard the fuss over Mac 217 blending brush.. It’s known to be a great brush for not only applying color but also for blending out the eye shadows.. 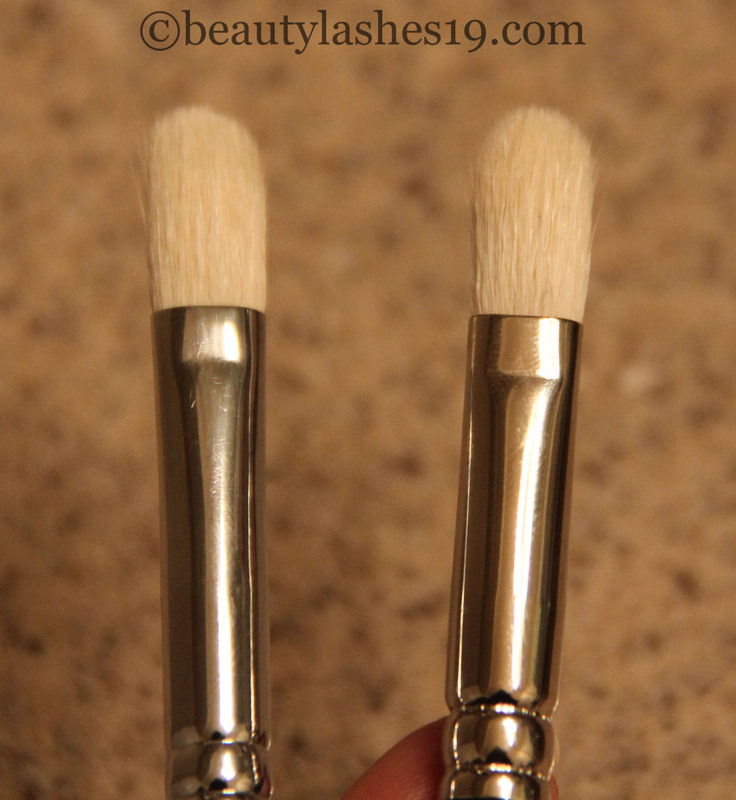 I personally adore this brush and is perfect in size and shape for its purpose.. The bristles are dense enough to pick up enough eye shadow to give good intensity and color payoff.. Also, the shape of the brush is great for blending out eye shadows.. However, it’s the price that doesn’t fit well with me.. Here, I am presenting a cheaper alternative to the MAC 217 brush.. It’s the E25 from Sigma… For price comparison, the Mac 217 costs $24 whereas the Sigma E25 costs only $12 – 50% less! 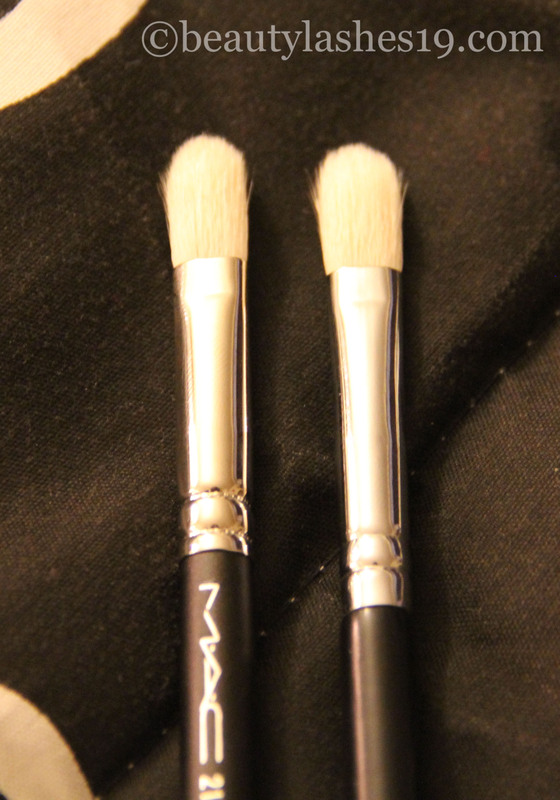 The funny part is that I’ve had the E25 for a much longer time (3-4 years) compared to MAC 217 that I got last month! However, I couldn’t imagine them to be dupes because each time I would wash the E25 it would lose its original shape (which was identical to Mac 217 upon purchase) and become more splayed resulting in a larger surface area.. It still worked well for blending out colors over a larger area on the eye but not for applying crease color..
What changed my mind about the E25 is the brush guard which costs under $10.. It is probably the best $10 I have spent for a set of brush guards.. After washing, all you have to do is insert a brush guard onto the brush and it makes them go back to their original shape! So each time I wash the E25 and use a brush guard, it comes out looking like the Mac 217 and functioning like one.. Visually, the only difference I can see between the two brushes is that E25 is a bit slimmer at the base compared to MAC 217.. Thanks for this. I’m not a big fan of MAC brushes so this is helpful. You are welcome.. I am glad you found it helpful..